The days of hiding your returns department in the back of your warehouse are over. Making reverse logistics a focal point of your 3PL operations can lead to a more effective operation and more profitable one too. With so many items sold via e-commerce these days, the complexity this variety can create is vast. 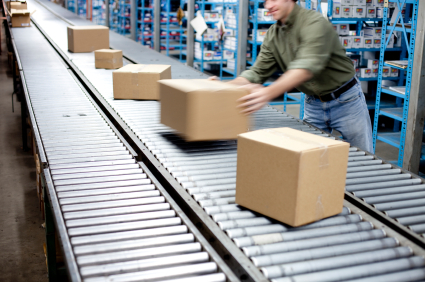 Creating processes that can account for this large variety in the size and scope of goods is paramount for a 3PL that wants to embrace their reverse logistics. The only thing for certain is that customers will return items. How, when, and why these items are returned leads to many unknowns. A returns center rarely knows what goods are coming back, what shape they’ll be in, or how they’ll be packaged, which makes them difficult to predict or automate the response. While these challenges can be daunting, a 3PL that accommodates for the differences in returns and considers all resale/disposal options for each situation can see more benefits from it’s varied strategies. Flexibility within a system is the key. Given the range of ways in which returned items can be handled, employees working on returns need to be skilled. They should be able to determine why a product was returned and decide how best to handle it. To achieve this, training becomes a must. Getting your workers to understand the different returns options and benefits from those options can make a difference in all facets of reverse logistics (response, re-purposing, reselling). 3PLs that utilize technology in their returns process can see added benefits. For example, installing a reverse logistics software can save time by initiating returns more quickly, validating those returns more efficiently, and issue credits in the best manor possible. Tracking each return through a software process can also yield data that can be used for critical analysis of overall reverse logistics performance, or to spot trends in items being returned. 3PLs that dedicate time and effort to building a better returns department can tout a successful reverse logistics program.